Ok… I’m just slightly (re: majorly) in love with the yellow and aqua combo. Yellow. Seriously, why don’t more book covers use yellow? It’s such a gorgeous color. Loving the typography, the texture of the tiles, the composition… it’s a fabulous cover. Eh? 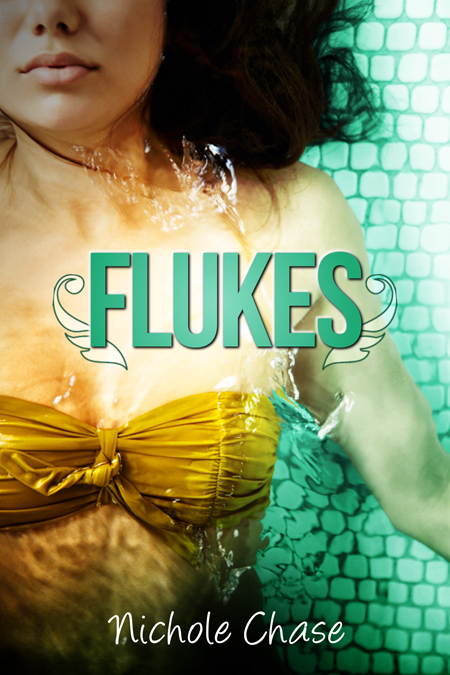 Flukes is expected to release on October 8, 2012! 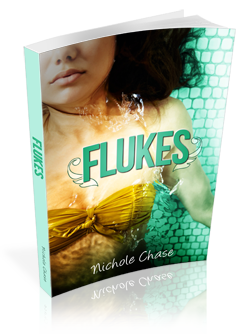 Nichole Chase is a daydreamer. No, really, just ask any of the math teachers that had the misfortune of seeing her name appear on their class schedule. For years she has had story lines and characters begging for attention, but she resolutely pushed them aside to focus on more normal (read, boring) jobs. Well, no longer! She is currently heeding the voices in her head and frantically writing their stories. 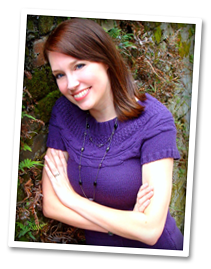 Nichole resides in South Georgia with her husband, energetic toddler, three dogs, and two cats. When not devouring novels by the dozens, you may find her writing, painting, crafting, or chasing her daughter around the house while making monster noises. Thank you so much for participating in the reveal! I’m thrilled that you like the cover! I’m majorly in love with it. My pleasure! It really is fantastic! Yep, I’m completely in love. The colors are popping and beautiful!! !